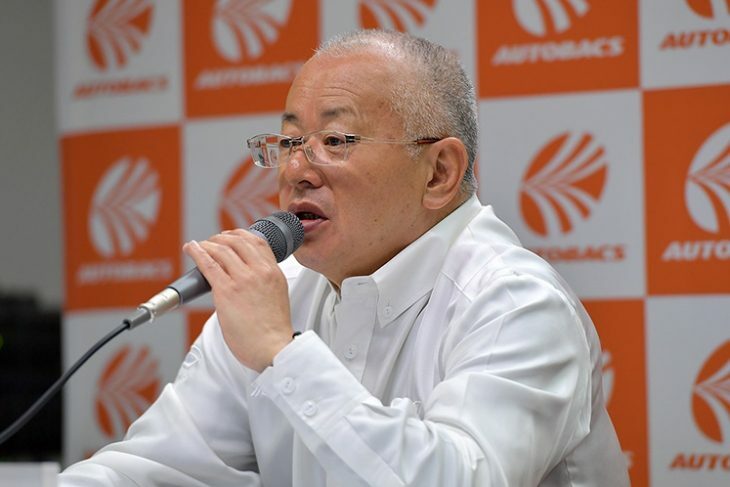 On Sunday morning, GT Association (GTA) Chairman Masaaki Bandoh delivered his customary pre-race press conference on the eve of the Autobacs Super GT Series’ opening race at Okayama International Circuit. Among the many topics discussed were the series’ broadcast rights outside of Japan. 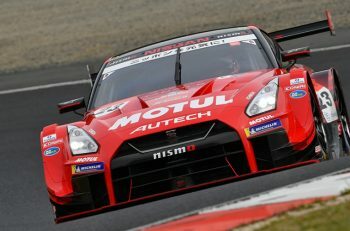 In the end, there was no official live coverage of the Okayama GT 300km Race, after Grand Central Entertainment’s YouTube channel Let’s Go Racing – formerly known as NISMO TV through March 2019 – failed to secure broadcast rights for the race. Chairman Bandoh was made aware of the disappointment expressed by the overseas audience and their international drivers such as Cassidy, Jenson Button, Jann Mardenborough, and James Rossiter. The Chairman explained that for 2019, Super GT has set up an English commentary broadcast booth through their own budget, allowing for live commentary on international broadcasts. 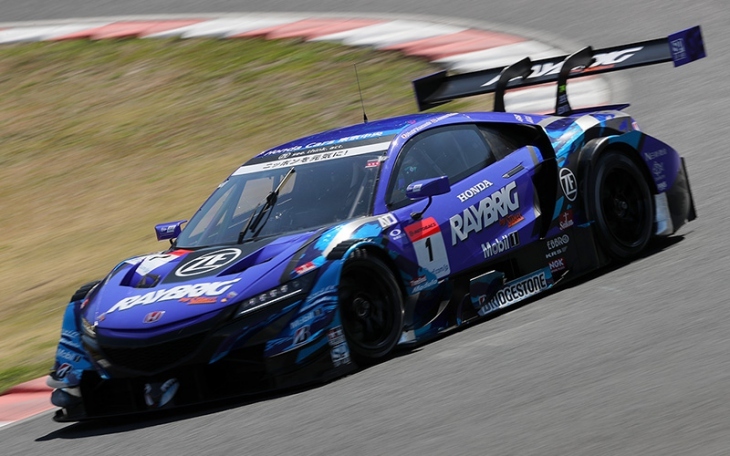 Haro Sports, the Malaysian company that is promoting Super GT’s return to the Sepang International Circuit in 2020, has signed a contract to become the broadcasting rights distributor of Super GT outside of Japan, using their satellite infrastructure to distribute live pictures to broadcasters around the world – which they can purchase from Haro Sports. Chairman Bandoh added that it seemed as if the international broadcasts would disappear, with the coincidental timing of the new deal with Haro Sports overlapping with the end of Super GT on NISMO TV after four and a half years. But according to the Chairman, Super GT’s partnership with Haro Sports is part of their vision for expanding their global audience. Japanese magazine Car Watch reported via a conversation with an official from the GTA that Grand Central Entertainment’s newly rebranded channel could have purchased the broadcast rights from Haro Sports, but be it due to financial issues or any other complications that have not been disclosed, a deal was not done – described as a “business decision”. 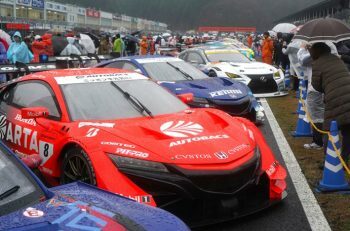 They added that this kind of turmoil might’ve been unavoidable for Super GT trying to grow on an international scale. Both for the international drivers and the series itself, the air for Super GT’s global development should be the same, and they hope to find a better solution. 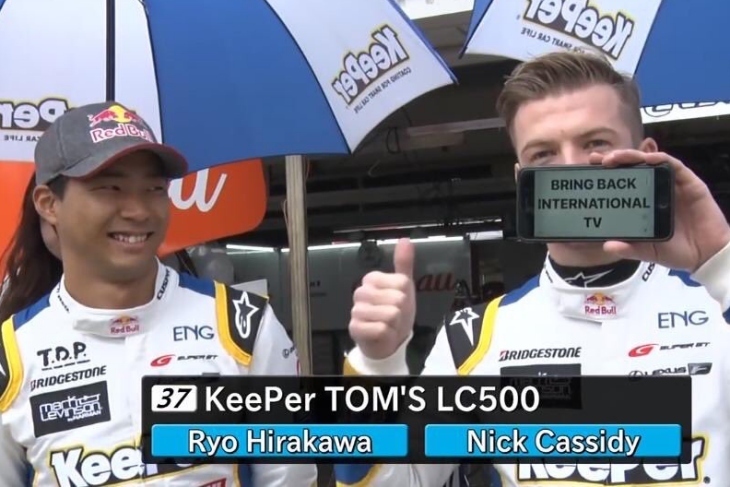 The official Super GT YouTube Channel will have the race in its entirety – what racing there was, it should be said there was very little this Sunday – uploaded in three weeks’ time with both Japanese and English commentary. As for who will be on the English-language commentary team for Super GT broadcasts distributed by Haro Sports, that has yet to be determined. But with this new model in place, there is a very good chance that we will see live Super GT coverage available to the rest of the world, just in time for the Fuji 500km, the crown jewel of the Golden Week holiday. 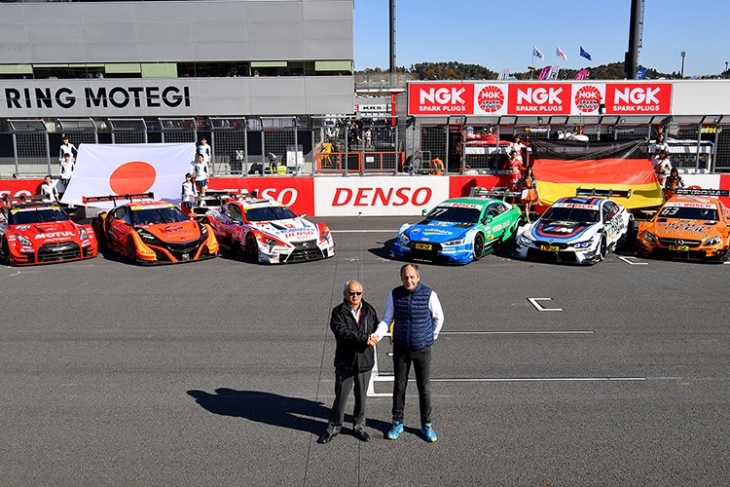 One of the other big stories of 2019 is the Super GT/DTM Special Exchange Race at Fuji Speedway on 23-24 November, the long-awaited doubleheader showdown between the best from GT500 and the best from the DTM. Chairman Bandoh explained that a project team was already in place to discuss, among other things, the time schedule and sporting regulations, with officials from the DTM. Both races will run to DTM’s new 130-kilometer sprint race format. As previously confirmed, Honda, Nissan, and Lexus (Toyota) will send one of their research and development vehicles to the DTM season finale at Hockenheimring, Germany on 5-6 October. The GT500 cars in the Super GT/DTM Exchange Race will carry the control tyres supplied by the DTM’s exclusive tyre partners at Hankook tyres. As the tyres used in the open-tyre GT500 class are much faster than the one-make rubber used in DTM, Chairman Bandoh stated that they had no choice but to run the Hankook tyres for the Exchange Race. Their original plan was to nominate one of the four GT500 tyre suppliers to supply the teams for the Exchange Race. During the final pre-season test at Fuji Speedway, a closed-door test was conducted with all three manufacturers running on Hankook tyres, testing to see if the tyres can withstand the track conditions at Fuji including the 1.6-kilometre front straight, where the GT500 cars can reach speeds in excess of 300 kilometers per hour. For the test, no press were allowed to photograph the cars on the unbranded Hankook tyres – the branding removed in consideration of the teams’ and manufacturers’ tyre contracts – and Chairman Bandoh mentioned that he believed that Hankook were doing “something quite unusual,” which is why he expressed gratitude towards the teams who helped out – NISMO for Nissan, TOM’s Racing for Lexus, and Team Kunimitsu for Honda. Also discussed was the recent weight adjustment for the mid-engined Honda NSX-GTs – the weight increased from 1034 kilograms at the start of 2018, to 1044kg by the end of the season, and now to their current weight of 1049 kilograms. That’s the minimum weight that the NSX-GTs were designated at the start of the 2017 season. Chairman Bandoh confirmed that the minimum weight of the Hondas will not be changed again, but what has changed is that the GTA has now decided to set a designated position within the car for which the additional weights must be installed – whereas, last season, the additional 24 kilos could be installed in any position that Honda and their teams saw fit. Some of the additional weight will need to be installed in the front hub centre of the car, and the mounting position and the amount of weight that has to be placed in the front may change depending on the circuit. Lastly, the GTA is allowing the use of tungsten bars as weight ballast, similar to Formula 1 – with two and a half times the weight of iron. A massive, massive thanks goes out to Jens (Twitter: @geinou) for his translation of Sunday’s GTA press conference from which this article is derived.